A new charity in Chesterfield is hoping to raise it's profile - and much needed funds - during tomorrow (Saturday 10th December) at Sainsbury's store on Rother Way. 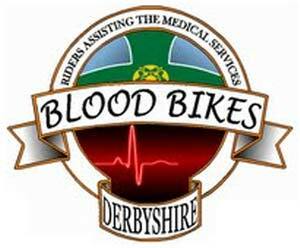 Derbyshire Blood Bikes is a newly registered charity (August 2011), and everybody involved is a volunteer. Their aim is to offer a free out of hours service to the NHS hospitals delivering blood, platelets, plasma etc as at present, the hospitals currently use taxis and courier services. Currently - says a spokeswoman for the group - they have been unable to establish exactly how much money is spent in this way but we do know Chesterfield hospital were charged £80 for 2 pints of blood collected from Rotherham. Derbyshire Blood Bikes is a local charity covering all parts of Derbyshire and are fundraising to establish a fund to operate the service in a professional manner and to buy more motor bikes (at present, they only have one) enabling the much needed service to grow. The charity is hoping to further help the local hospitals by collecting baby milk from nursing mothers and deliver to the milk bank at Birmingham and then deliver at their request to maternity units for premature babies. This service may mean delivering to Nottingham, Leicester and Sheffield as well as in relay with other blood bike volunteers in the country, but premature babies are sometimes placed where the nearest available incubator is and Derbyshire babies can be transferred as far away as Newcastle. Sainsbury's at Chesterfield have allocated a collecting day on Saturday 10th December where members of the group will be talking to the public about the cause. 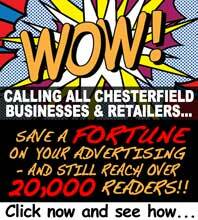 Anyone is also welcome at their next open meeting in Chesterfield - 14th December at Club Chesterfield, Chester Street S40 1DL at 8pm.